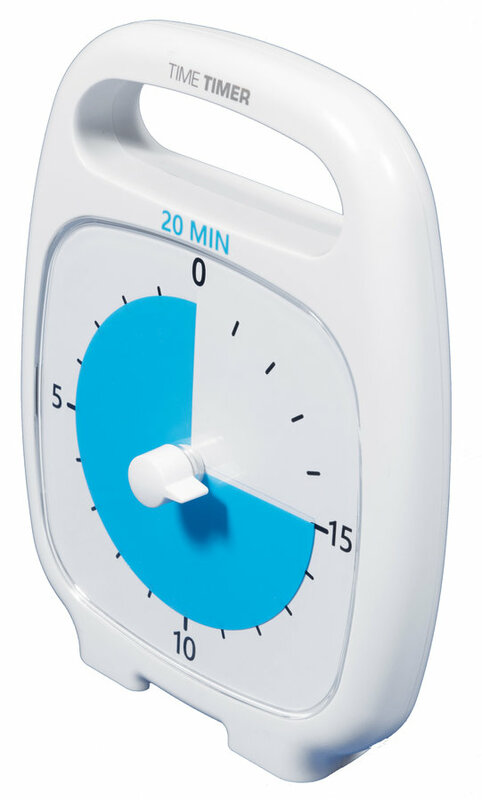 Sometimes an hour is too long so now the Time Timer PLUS is available in a 20 minute duration. Whether you are doing 20 minutes of silent reading, a speed round of team updates. The color is different so not to be mixed up with the well-known red disk for the 60 minutes Time Timer. Very suitable for young children. The 120 minutes Time Timer PLUS is suitable for older children who need more than one hour for a task or activity. 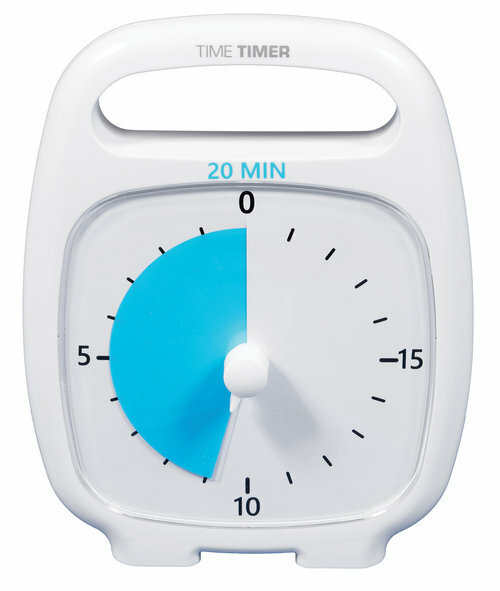 The Time Timer PLUS has a clear lens as the other Time Timer PLUS. An adjustable end signal and a closed battery compartment. and carry-to-go handle ensures ease of use. You can teach the younger children to work in time schedules of 20 minutes which is more than enough for the young ones.